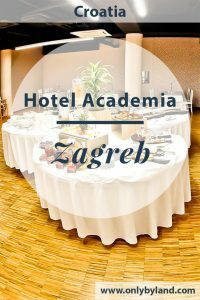 Check out the Hotel Academia Zagreb website for the best room rates. For the latest events and pictures check the Twitter, Facebook and Instagram feeds. 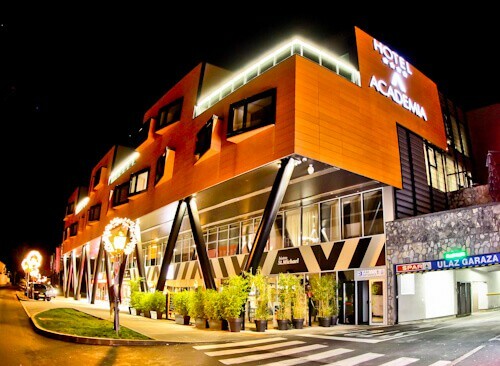 The Hotel Academia Zagreb is located close to all the major points of interest of Zagreb. It’s located on Tkalciceva Street which is lined with cafes, restaurants and pubs. Foodies will especially love this location. In addition there’s a huge parking garage offering complimentary parking for hotel guests. Those exploring Croatia by car can relax knowing their car is safe for the night. From the hotel, you can walk to all major points of interest of Zagreb including the Instagrammable St Mark’s Church. Upon entering the hotel, you’ll start to appreciate the interior is equally as modern as its exterior. Staff at check in speak perfect English. If you require any information about local foods, restaurants, attractions etc… the staff will be keen to advise you. Be sure to request a Zagreb city map, it will come in useful. Throughout your stay the reception staff will be happy to assist you. If you don’t need assistance they’ll still give you a friendly greeting each time you pass! The rooms are modern and spacious. They’re equipped with flat screen and the complimentary hotel WiFi. Whether it’s hot or cold in Zagreb, the temperature in the room can be controlled to your liking. In addition to the regular rooms, there are larger suite rooms available. The suites are perfect for those traveling to Zagreb with kids as they have a sofa bed. In addition to the spacious room, the modern bathroom is spacious too. The walk in shower has the option of a traditional or a rainfall shower. The towel heater means you can dry off with a warm towel afterwards. Complimentary amenities are also provided and topped up daily. If you choose a suite room, they have the addition of a Jacuzzi. Breakfast is served from 6-30 am to 10-30 am. 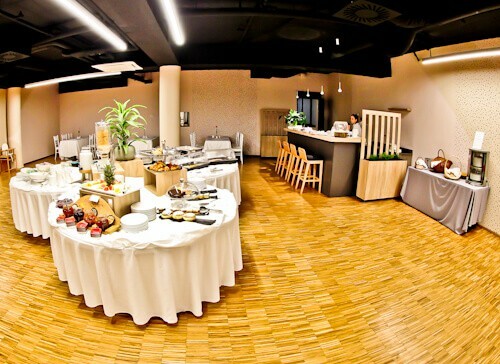 The breakfast buffet includes hot meats, cold meats, cereals, breads, fruits, cheeses, muffins and cakes. As well as the buffet breakfast you can order eggs however you like them. A pleasant surprise in the buffet breakfast was the size of the juice glasses. How many times have you been in a buffet breakfast and had to refill your juice 3-4 times? At the Academia buffet breakfast you have a decent sized glass to pour your juice into. Additionally, tea, coffee and hot chocolate are available too. The on site restaurant is called Bistro St. Micheal. Bistro St Michael offers freshly prepared and locally sourced Croatian dishes. The Croatian dishes are served with a modern twist. Additionally, there are also over 30 Croatian wines to choose from. During your stay in the Hotel Academia, you must visit Bistro St Michael at least once to try some of the local food. In addition to the indoor seating, there’s an outdoor patio area. This is perfect for those summer months. 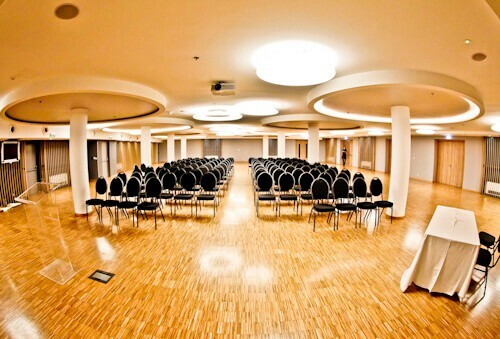 The hotel has a modern conference hall large enough to fit 400 people. 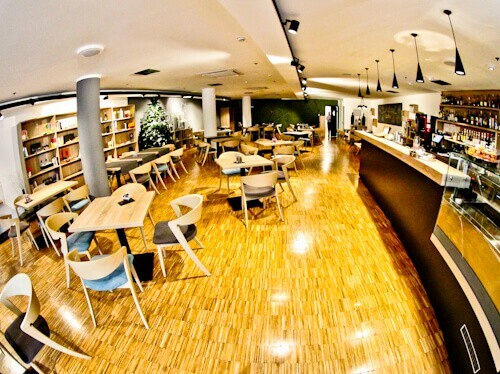 This is ideal for those traveling to Zagreb on business. As you would expect from a modern conference hall, modern equipment is available. For those planning a wedding reception in Zagreb, you can make use of the Gloria Ballroom. The hotel offers wedding menus, in additional custom menus are available. Contact the hotel directly for your wedding reception requirements. How many times have you been in a hotel and asked in reception, where is the nearest supermarket? There is a Spar supermarket located within the hotel complex. In fact you can take the elevator from your floor direct to the supermarket! 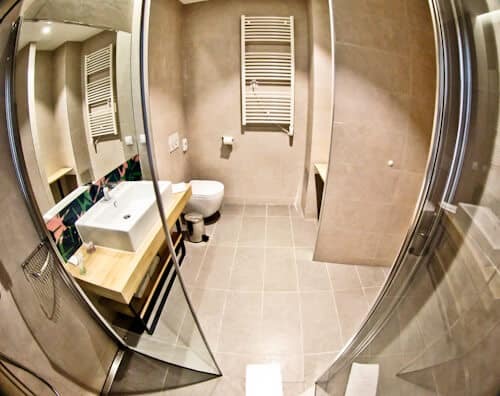 Enjoy staying in a central location whilst in Zagreb. Any questions you may have about what to do or eat in Zagreb, the friendly staff will be happy to advise. 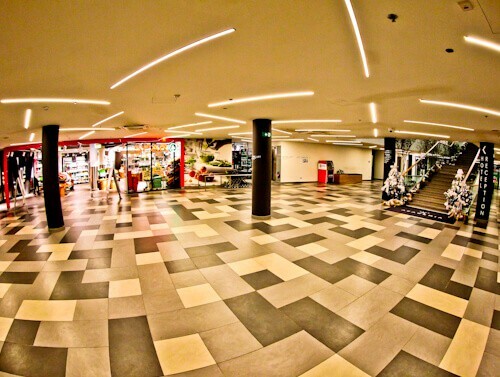 If you’re driving you’ll be able to park in the underground parking garage and explore the city on foot. I prefer these modern hotels to the old buildings! As they have been designed this century they are usually better designed. The Academia looks so spacious and I love how the wooden floors shine! Hi Lana. I like to mix it up a little, sometimes historic buildings and sometimes modern. You’re right about the new buildings having a better design! 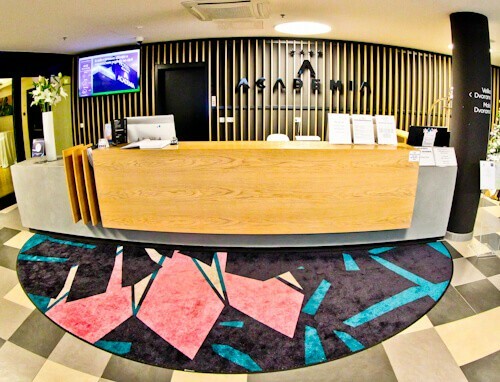 This hotel is definitely the one I’d choose for Zagreb! 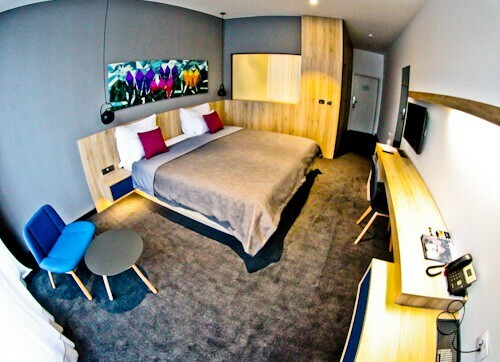 I’m all for the modern hotels, those wooden floors look amazing in your pics James! Hi Veronica, yes the wooden floors really shine in my pics!